A pair of trademark gouaches by Mary Fedden (1915-2012) drew strong bidding at auctions in Derbyshire and Essex. 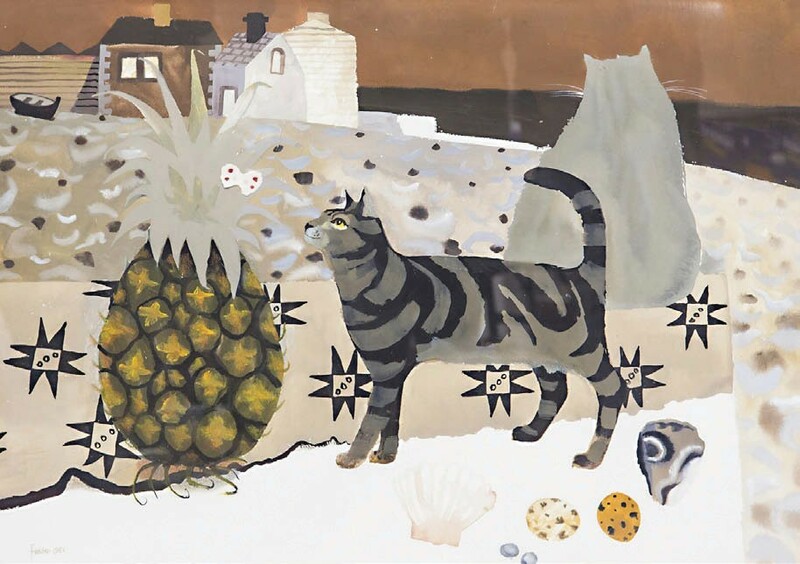 A 21in x 2ft 5in (53 x 75cm) watercolour and gouache still-life, featuring a large pineapple and a distinctly marked tabby cat, took £14,000 against a £2000-4000 guide at Hansons (20% buyer’s premium) of Etwall on February 21. Signed and dated 1981, the work is among the highest prices for a work on paper by Fedden at auction. At Essex saleroom Boningtons (22% buyer’s premium) on February 28, a later 12 x 10in (31 x 26cm) gouache from 1994 titled Moonlight, which was acquired by the vendor from a charity auction at Christie’s in April 2007, fetched £8500. 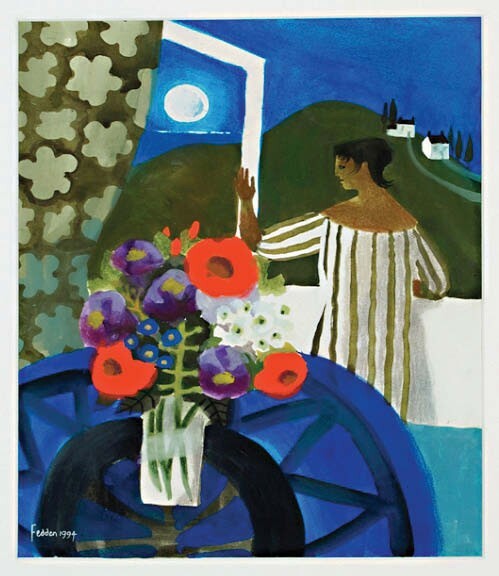 Like her love of cats, moonlight scenes were among Fedden’s favourite compositions. Often combining landscape and still-life, she painted them frequently over a period of many years. The same Essex sale achieved a double-estimate £13,000 for a church study by another leading British artist, John Piper (1903-92). The 15 x 22in (38 x 56cm) watercolour, ink and gouache of the ancient St Baptist Church in Orcop in Herefordshire is typical of Piper’s work in the late 1960s and '70s, when he focused intensely on studies of church architecture, often in gouache and executed on the spot.